Do I want a Big Mac? Not after this I don’t! Apparently here are the other things that go along with the two all beef patties, special sauce, etc. 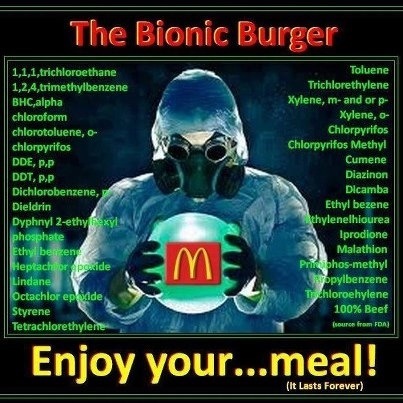 Maybe a Big Mac is really “artificial” food?? Let me know if this is wrong! !